2. Then choose 'Sign up or manage Amazon MWS'. 3. Log in with your professional seller account. 4. 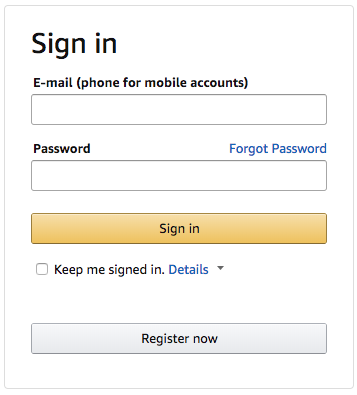 After login you will directed to the user permissions screen of your Amazon Seller account. On this page, click the button 'Visit Manage Your Apps' in the section 'Third-party developer and apps'. 5. You will get to a new page where you can manage your apps. Click the button 'Authorise new developer'. 6. This button will open a new screen where you can enter the Developer's name and developer ID. 1. 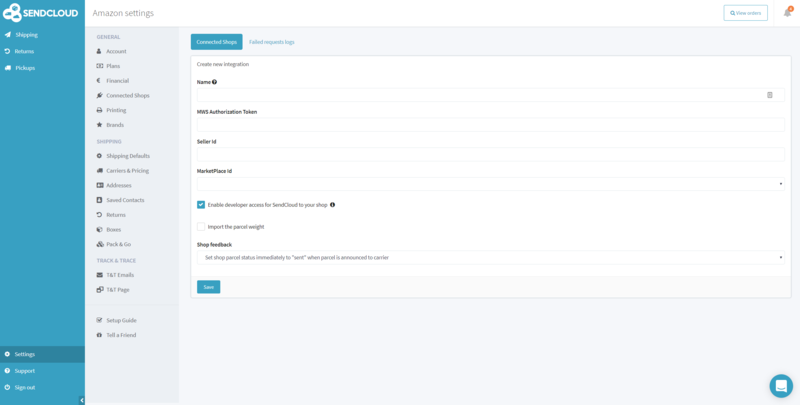 The next page will display all the information and keys you need to copy to SendCloud. 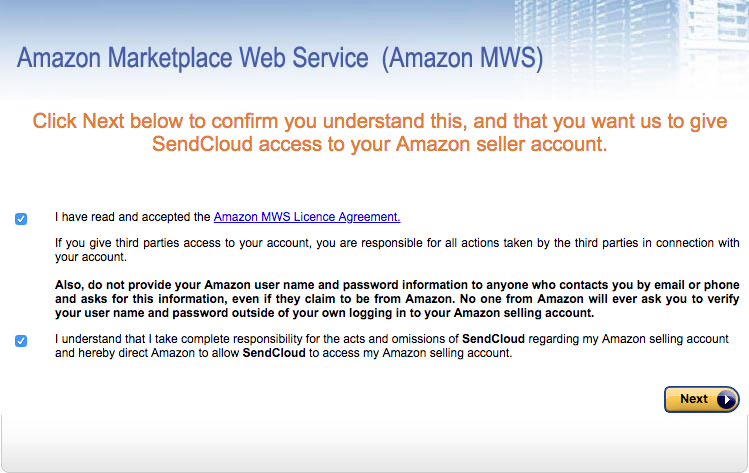 Please note that you can only add a single 'Marketplace ID' in a single SendCloud account. If you have multiple Amazon accounts, you should connect them to a different connected shop integration. Caution! You can only see the following screen once, otherwise you will have to repeat the process. 2. Log into your SendCloud account now. 3. 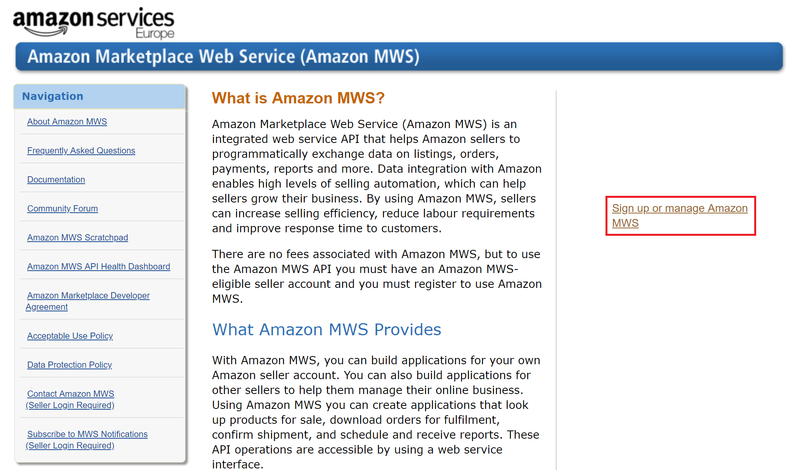 Locate the Amazon module to configure the integration. Click on 'Connect' to integrate with Amazon. In the field "Name", enter the name of your Amazon store. On this page, you can choose whether to import the weight of the package or not from your shop. 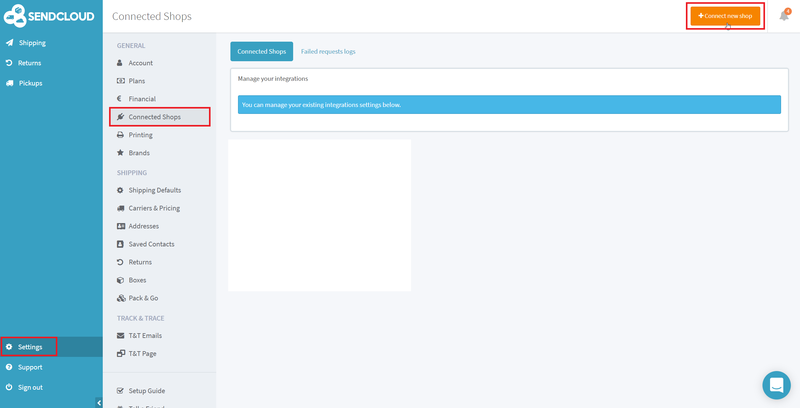 You can also define when the status of your orders should be updated in your shop ; either when the "parcel is announced to carrier" or when the parcel is "processed at carrier". Congratulations! Now your Amazon account is linked to SendCloud and the orders can be processed via 'Incoming orders'. Important! If your Amazon Marketplace is available for different countries e.g. Italy, Germany and U-K you have to do an integration for each coutry. 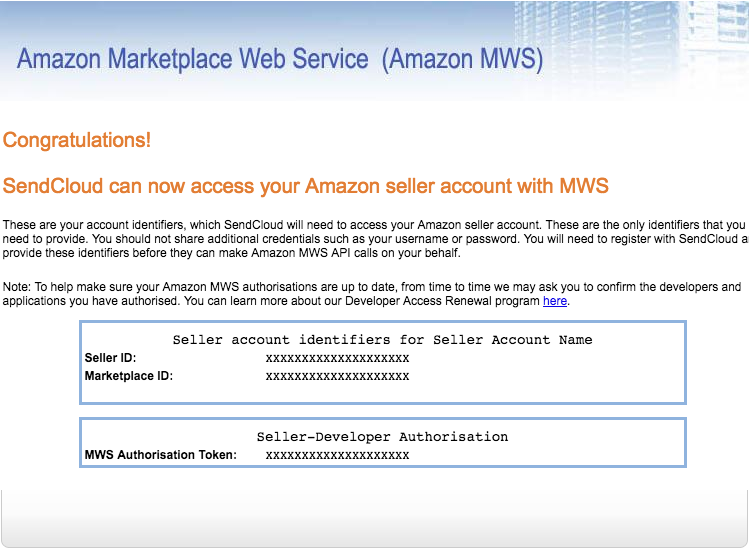 You will need a new Marketplace ID and you will need to create a new integration in SendCloud. In that case, you will have three Amazon integrations in SendCloud.